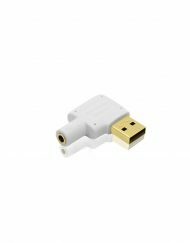 SKU: 109893. 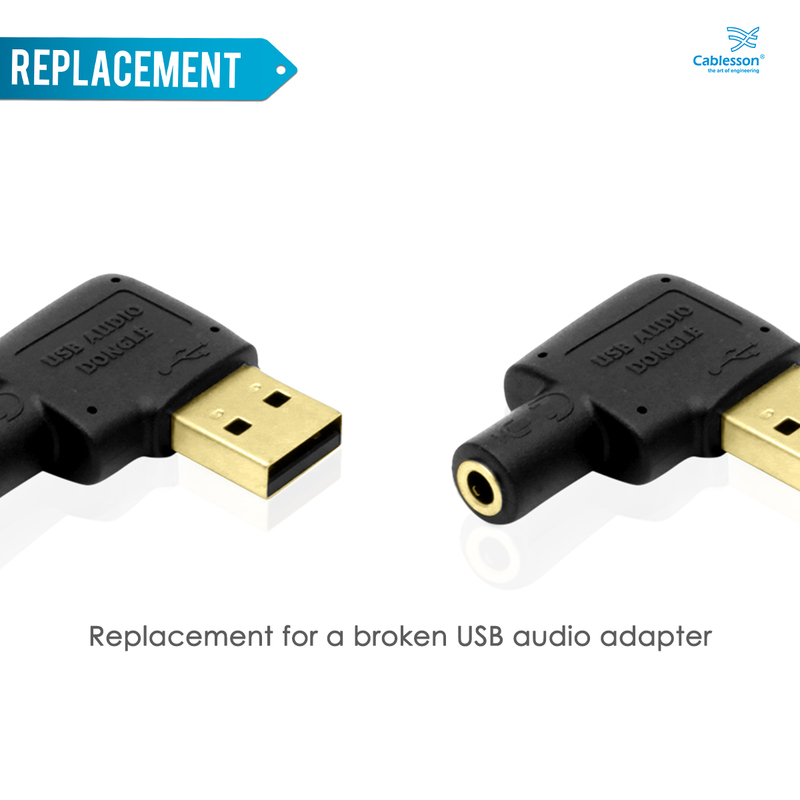 Category: USB Adapters. 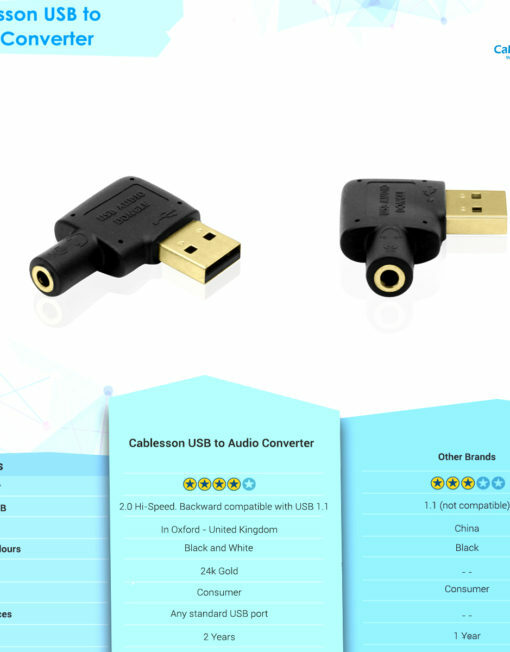 Cablesson came into existence in the world renowned city of Oxford, United Kingdom and is led by a team of young, tech-loving and innovative individuals. 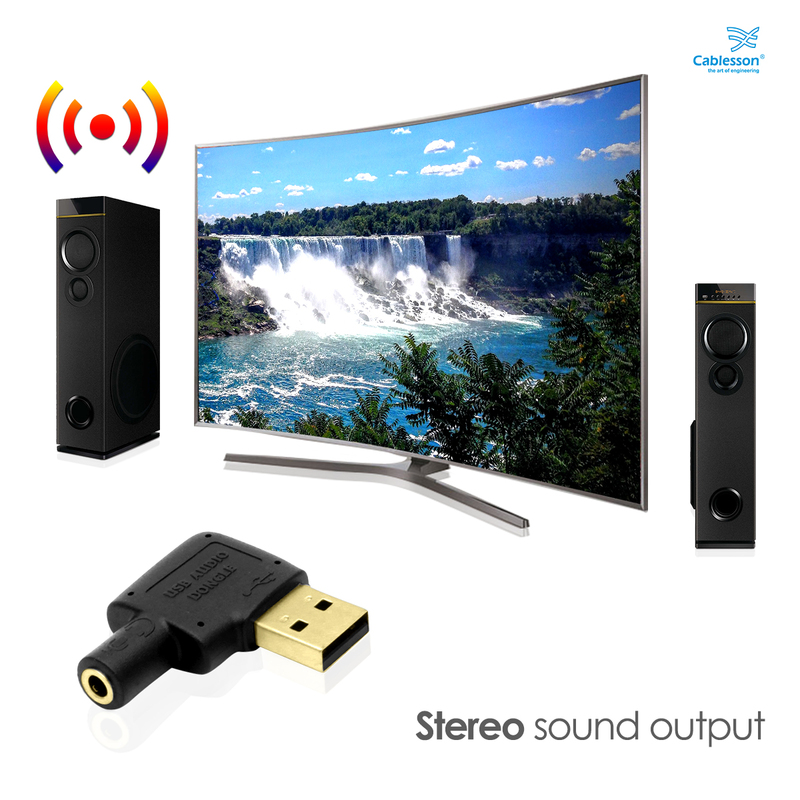 We are premier manufacturers of high quality HIGH DEFINITION cables, components and accessories for consumer electronics products. 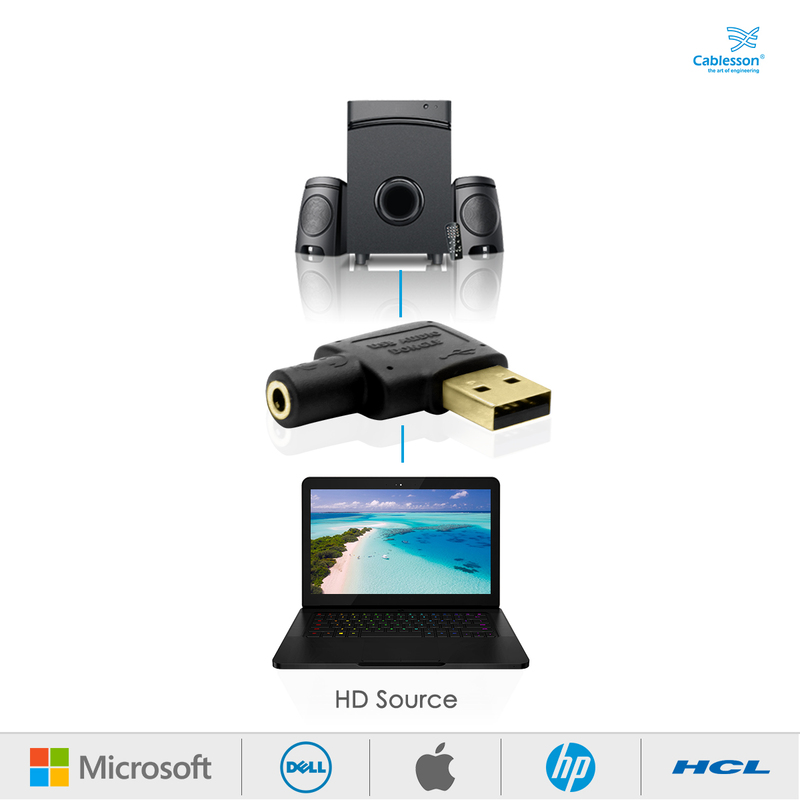 As a result, we continuously strive to give you the best combination of a valuable product and impeccable customer service. 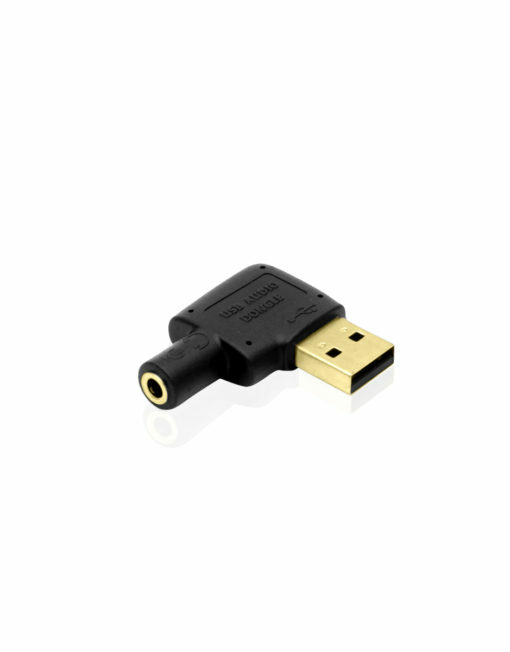 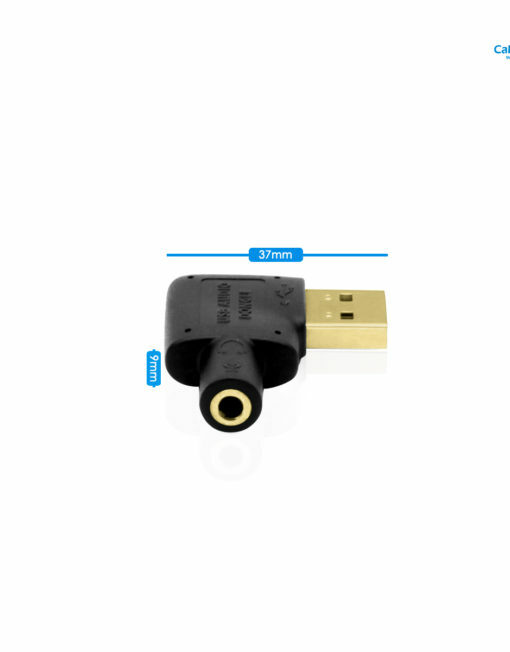 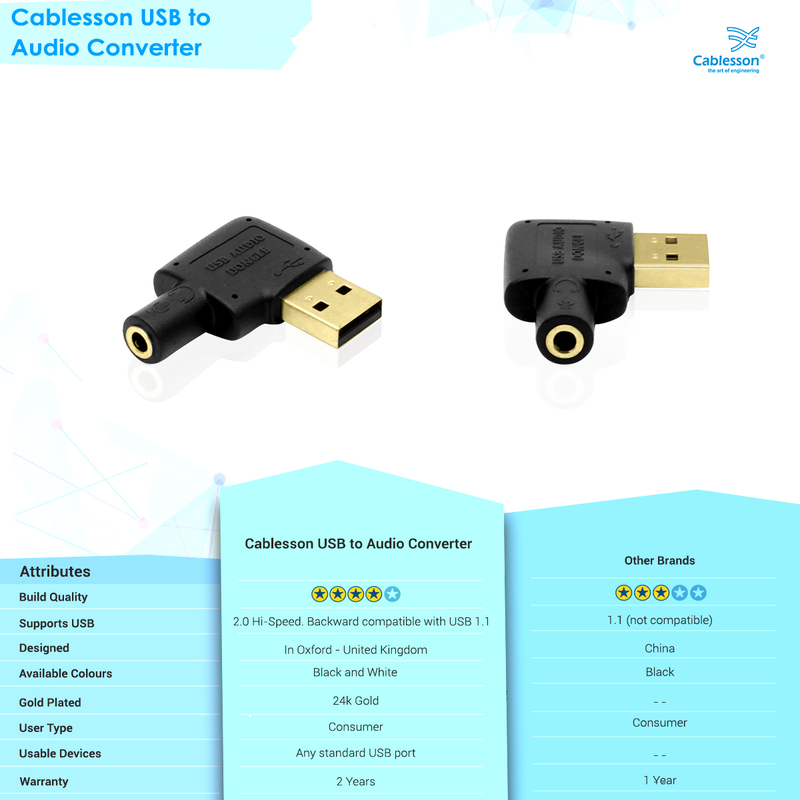 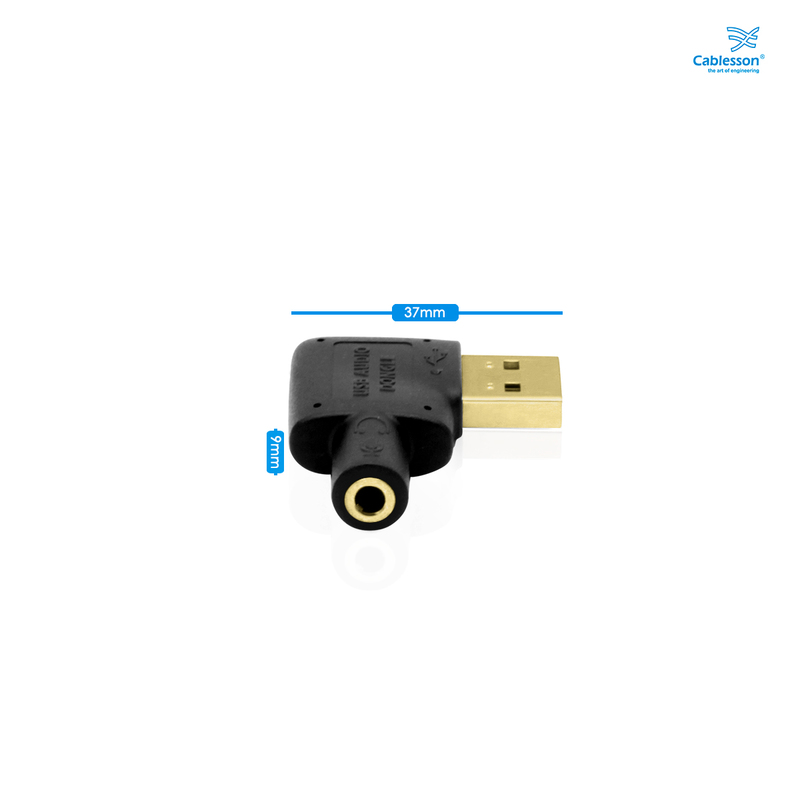 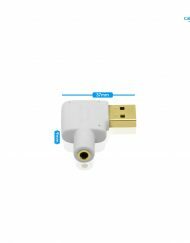 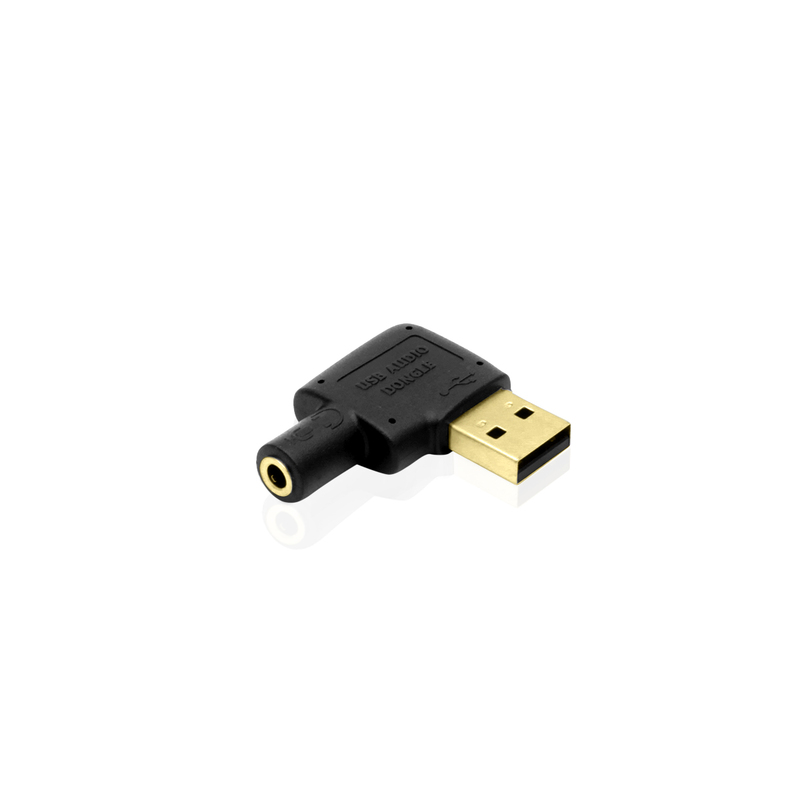 This Cablesson USB to Audio Converter is a highly flexible audio interface, which can be used with either laptops or desktop systems. 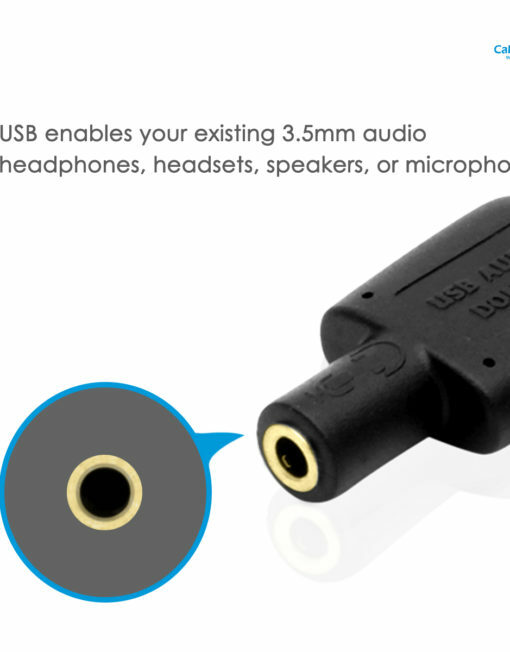 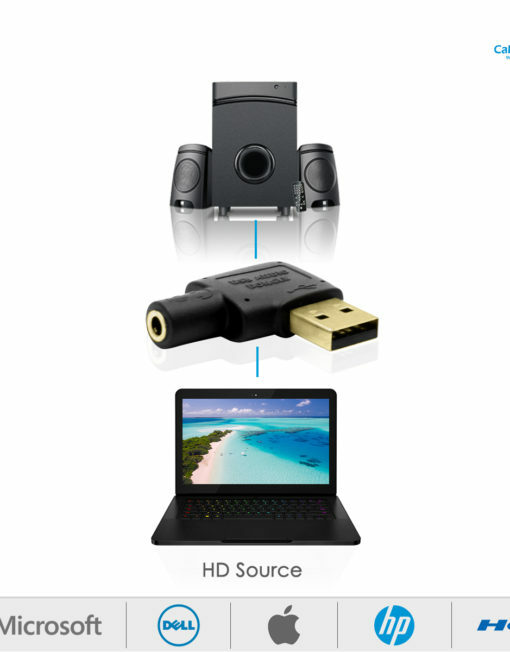 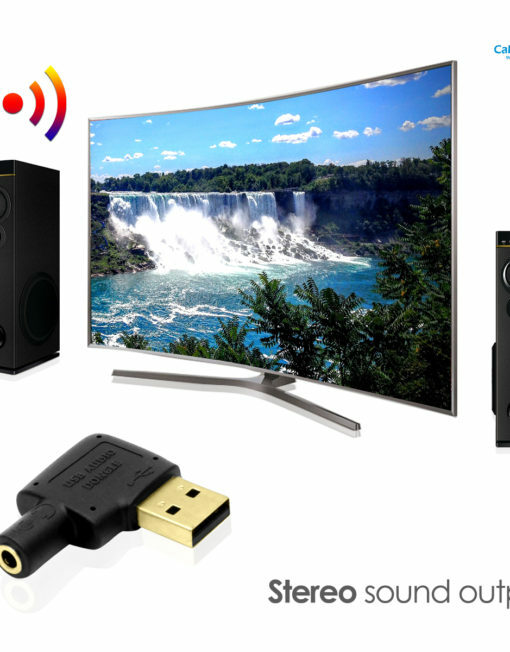 No driver required, plug-and-play for instant audio playing and compliant with all mainstream operating systems. 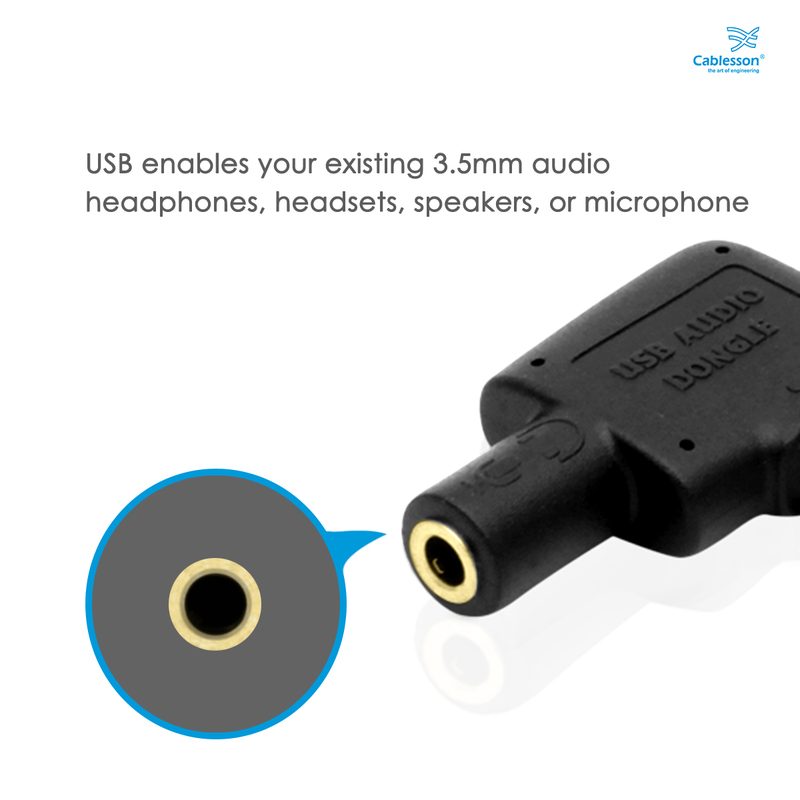 Simply Plug the converter into your USB port, and then plug your headphones into the Adapter.